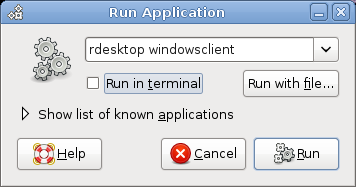 Softwares like VNC works great but once in a while you encounter problems like not being able to pass ALT+CTRL+DEL to windows remote machine to bring login dialog box. Also Windows doesn't comes installed with it. Instead it comes with handy utility remote desktop. 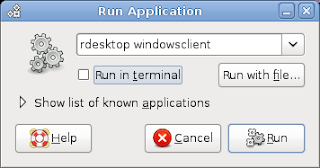 So how can you use remote desktop of windows from your Linux machine? Well the answer is simple. Its very nice and small utility. Holy cow! I've been looking all over for this, thank you.